Each adult leader I spoke to said that, for the teens in their groups, the experience provided a wonderful way to draw closer to Christ and to his Church. As part of a summer project, I looked at different parish websites and talked to pastors about life in the collaboratives. What caught my attention is the number of parishes and collaboratives that ran vacation bible schools and sponsored mission trips for their youth. It was inspiring to hear about the number of young people growing as disciples and bringing the love of Christ to others. These mission trips and summer volunteer opportunities present a picture about young people that gives us reason to have hope! Hundreds of teens and middle schoolers from around the archdiocese attended Discipleship Week, CAMPS, Steubenville East, Teen Alpha and Vacation Bible Schools. In addition, there were hundreds more who participated in opportunities of Christian service. Information about these service trips was shared by adult leaders from the collaboratives in Acton/Stow, Lexington, Newton, Amesbury/Salisbury. Some were conducted locally, even within parish boundaries, while others required participants to travel a distance. Each program had as its foundation prayer and service. 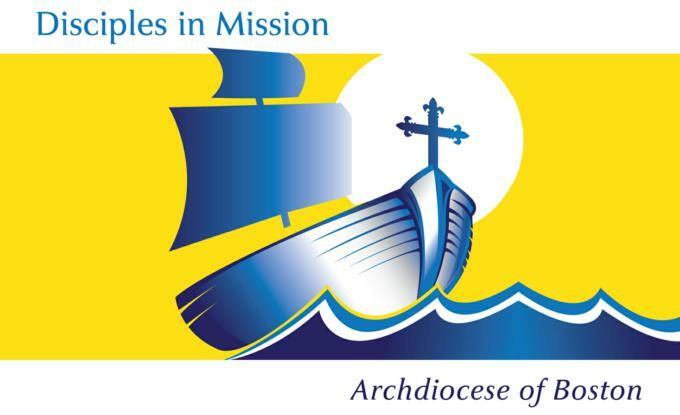 While the information shared here by no means offers a complete list of the parishes that had teens involved in summer programs, hopefully, it illustrates the types of programs and places where young people served. It will also illustrate that young people do have a love of Christ and want to share it with others. What effect did these experiences have on the lives of those who participated? Each adult leader I spoke to said that, for the teens in their groups, the experience provided a wonderful way to draw closer to Christ and to his Church. One teen described herself as being at a "happy new place" in her relationship with Christ. Several teens after serving in one of these experiences have begun volunteering to be lectors and eucharistic ministers. Another group of teens returned to their parish and have begun designing a mentoring program of service for middle schoolers. Not only did these mission-type experiences touch the lives and hearts of those participating, but one man named Steve, whose mother Beverly (88 years young) was one of the beneficiaries of the group's service, was so touched he wrote: "We wanted to provide a few words of THANKS for all of the work you did this week. Let me say that the team was energetic, focused (when needed), respectful, very well-disciplined, and FUN. They tackled each job with enthusiasm and followed it through to completion. They were delightful to have around, each bringing their own special skills. . . We would gladly have them or any other Catholic Youth teams back next year. They were truly excellent ambassadors that showed us what a Catholic Youth Program is all about." One program called Catholic Heart Workcamps attracts the largest number of young people from across the United States. Their mission is "to share the love of Christ as youth serve the neglected, brokenhearted and the marginalized in any way needed. Equally, to inspire participants to live as disciples of Christ through serving others as a way of life; and to foster the Catholic faith of each participant through the sacraments, prayer and involvement in social service." Through Catholic Heart, the places of service were done in North Haledon, New Jersey and Plattsburg, New York where groups of high schoolers painted, gardened, cleaned schools and convents and a friary. After each day's service there was time for relaxation and fun but also time for prayer before the Blessed Sacrament in adoration, for confession or for faith sharing with peers. Leaders from several different collaboratives also sponsored Mission Trips to Haiti; Honduras; Corpus Christi, Texas; Appalachia; and Buffalo, New York for high schoolers and young adults. They went to places where, in the words of Pope Francis, the young could "listen to the poor." They weren't working in places where they would be pampered or catered to but rather in places where they found new meaning in being with people much less fortunate than themselves. A "thank you" and a smile at the end of each workday was all the reward they needed! These opportunities require a huge commitment on the part of teens and leaders alike. Each leader I spoke with was energized to see the ways Christ came alive through the service activities and their experiences at prayer and sharing. As they return to the busyness of school and life, pray that the fire of God's love that they experienced will continue to burn in their lives. 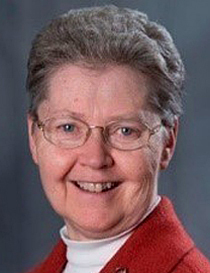 Sister Pat Boyle is associate director of the Archdiocese of Boston’s Office of Pastoral Planning.